As summer heat yields to cool fall air, our thoughts turn to barrel-aged beer. To us, nothing quite says Chicago barrel-aging like Goose Island’s Bourbon County Brand Stout, set for release this year to it’s usual Black Friday fanfare. 2018 features a record setting eight BCBS releases, including some first time styles and returning fan favorites. In addition to Original Bourbon County Brand Stout, longtime fans will eagerly await the return of the much coveted Vanilla and Bramble Rye variants. Some will seek the creative premiers of Wheatwine, Midnight Orange, and Coffee Barleywine. 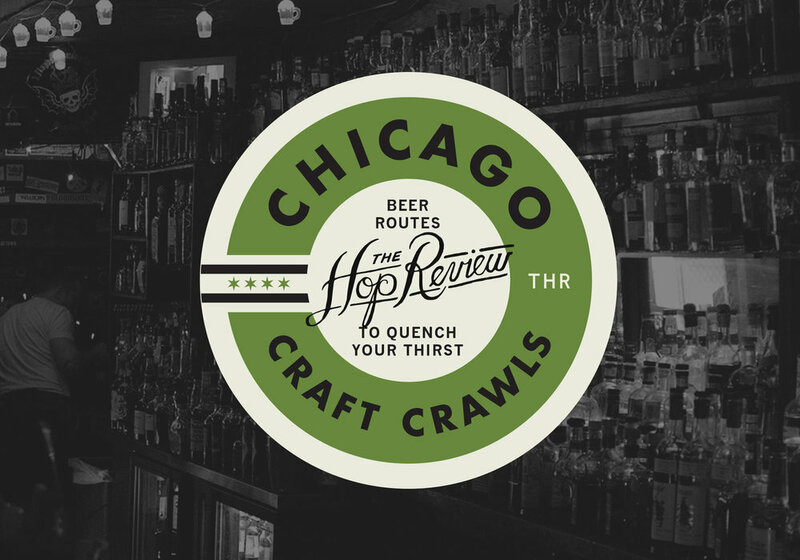 Others will flock to this year’s Reserve and the Chicago-only Proprietor’s. We’re betting even more will try to get their hands on them all. 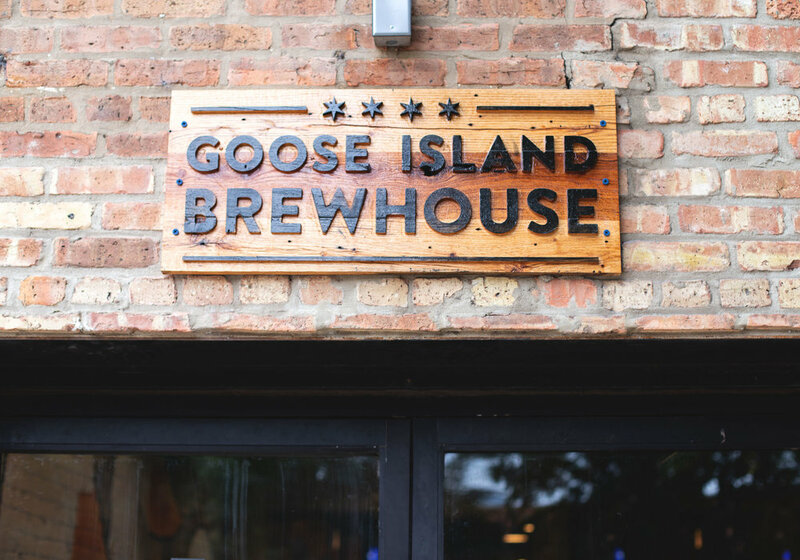 Goose Island's original ‘Brewhouse’ on Clybourn Ave.–the venue for this year's tasting. We were honored to visit the Goose Island Brewhouse (formally ‘Goose Clybourn’) in Chicago for an early-October media preview of 2018’s Bourbon County lineup. It wasn’t lost on us that this is the home of Bourbon County, the place where this beer was created over two decades ago. This event is always a treat, but this year’s eight releases made for an extra special night with the creators of these special beers. Our thoughts on each release, in the order we tasted them, are below. This is, without a doubt, the oddball of this year’s lineup. We, and we’re guessing most of you, had never had a wheatwine so don’t have much frame of reference here. It’s lighter in color than the rest of the lineup, but packs quite the punch. The ABV clocks in at just over 15% and there’s no doubt it’s pretty hot up front. We were pleasantly surprised to get deep caramel, vanilla, and toffee notes with the booze backing off nicely at the end. This is going to be overlooked by many in this year’s crowded portfolio, but fans of subtle nuanced flavors will love it. And then there’s the question of what this will taste like a few years down the line. That’s anyone’s guess at this point but we can’t wait to find out. OG is back as always and this might be the best one in recent memory. Anyone who’s had Original in past years knows what flavors to expect here. The ABV is slightly ramped up from previous iterations (a theme throughout this year), though we got significantly less perceived alcohol. Honestly, this drinks like 2017 would today — a little subdued on the chocolate and molasses notes with a significantly softer tone bringing out the leather and tobacco notes. Overall, a much easier sipper when sampling fresh, despite the higher ABV. Reserve is a monster on paper. Aged in 12-year old “Elijah Craig Barrel Proof” wood, these are the barrels responsible for last year’s Whiskey of the Year — an award that was announced well after Goose Island got the barrels. As with last year’s Reserve, new fans of the style won’t notice a huge difference between this and Original. This one drinks like a bigger, badder version of it’s base — bigger aroma, bigger flavor — but somehow the booze seems… well, reserved. Long-time fans are sure to make a run on this one. If Wheatwine is the surprisingly crowd-pleasing oddball, this is the polarizer out of left field. Midnight Orange features Spanish orange peel and cocoa nibs, a combination here that screams Terry’s Chocolate Orange. As someone who grew up eating these over the holidays, this is nostalgia in a bottle. The orange comes through more like bitter pith than sweet, and the chocolate balances it perfectly. Having said that, many will find the aroma and taste overwhelming. The debate will rage over this one, and that’s just fine. Many, including us, lamented the loss of Coffee Stout and, to a lesser extent, Barleywine in this year’s lineup. We’re here to tell you that Coffee Barleywine is a worthy replacement. The aroma of Intelligentsia’s latest Guatemalan brew, added right before bottling, is all there. The first sip is a little lighter bodied and sweet. The alcohol heat up front yields nicely to a fruity warmth that grew on us as we drank. It reminds us strongly of one of our favorite Fulton & Wood releases in recent years — Fulton Street Blend, albeit a huge version. We’re guessing some will still miss past year’s stout variant, but this is a welcome addition. We’re not sure how you’ll react to this year’s Proprietor’s. On one hand, it’s one of our favorites iterations of the Chicago-only release. Sampled just hours from the brite tank, it’s made with dark chocolate and various cocoa nibs and tastes exactly as you’d expect. It takes one of Bourbon County’s dominant flavors and amps it up to 11. This is bitter, sharp, acidic dark chocolate in a glass and we love it. It’s a nice change up from the crazy adjuncts of years past. Conversely, we suspect many will be expecting more here. Those who’ve got used to peppers, bananas, and coconut in their ultra-exclusive Prop will be left wanting here. As always, you can form your own opinions by entering this year’s Prop Day lottery. The return of Vanilla is sure to get quite a few folks excited. Last released in 2014, past iterations have been fan favorites. We went in with high expectations… and were left a little disappointed. The beer has a somewhat earthy tone with a slick after taste, we suspect from the first time use of real shredded Madagascar vanilla beans. The aroma is all there. Put your nose in the glass and it’s an absolute facefull of vanilla. It does fall off substantially when drank though which is where we were left wanting. Not bad by any means, but certainly not up to our lofty expectations based on past releases. This is the second year in a row the Bourbon County lineup features a fruited variant, this year with the return of Bramble Rye. While we found last year’s Northwoods to be far too sweet, this year’s addition dials that back significantly, allowing the wood character to shine through. There’s no mistaking what you’re drinking, but some of that jarring sweetness has been replaced by a little acidity from the dark fruit. In this year’s crowded lineup, this still isn’t one we’ll gravitate toward. However, we’ll certainly be drinking more than a couple ounces, unlike last year. Written and photographed by Tom White. Thank you to Goose Island for giving us a sneak peak at this year's 2018 lineup. Look for Goose Island's Bourbon County Brand Stout on its typical Black Friday Release, & for those lucky enough to secure a lottery spot, at this year's 'Prop Day'.